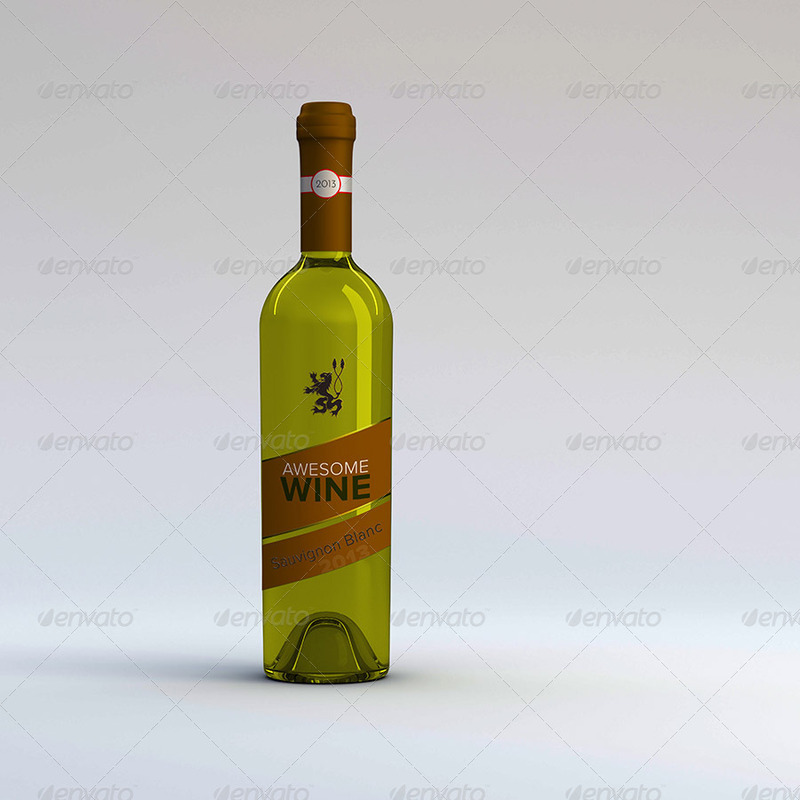 A mockup for 3 highly detailed wine bottles and a wine glass. The label of the bottles is highly customizeable with custom shapes, gold reflections as well as embossed parts for high-class labels. 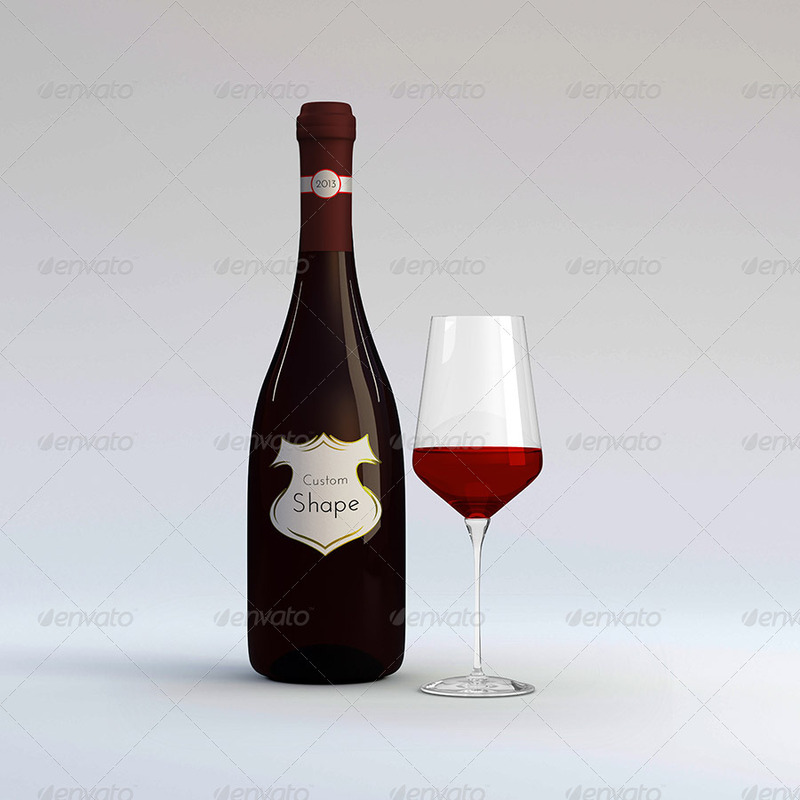 One big difference to my first Wine Bottle mockup is that you can now expand the label to every side of the bottle, making a full-width label possible. Every bottle as well as the glass can take up infinite colors thanks to a very easy to use hue and saturation layer. 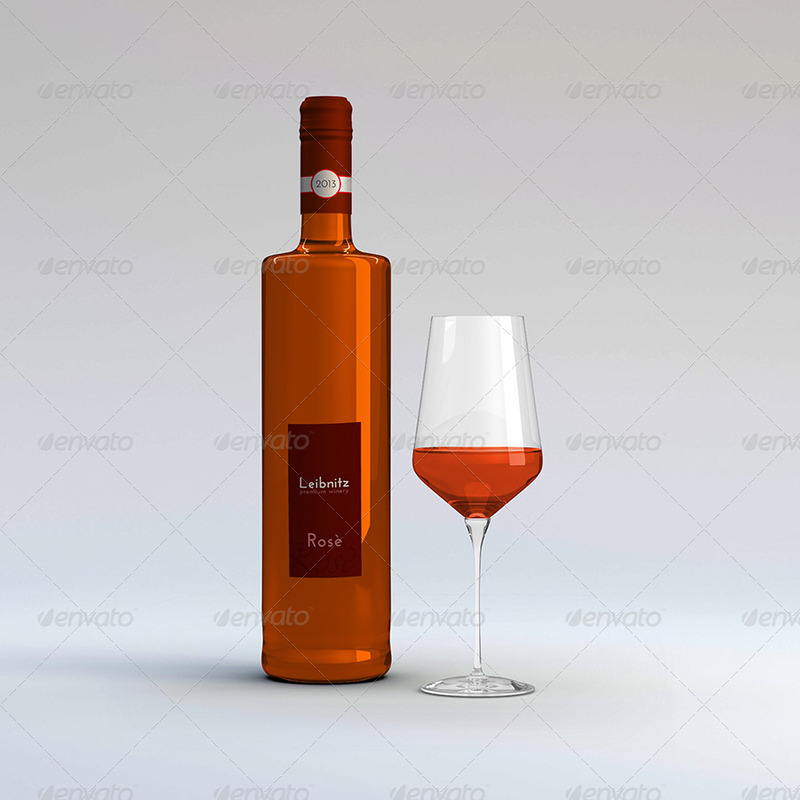 The background can be hidden as well as the glass, so the bottle sits on a transparent layer. Fonts used: Josefin Sans (Google Webfonts), Proxima Nova and Didona (none of them included). The labels in the preview are included to the file and are editable if you have the fonts that I used. The animal on the cover is a standard Adobe Illustrator symbol and is included as an Adobe Illustrator smart layer. If you have any further suggestions, just contact me via my profile and Iíll see what I can do. Please rate this mockup if you liked it.